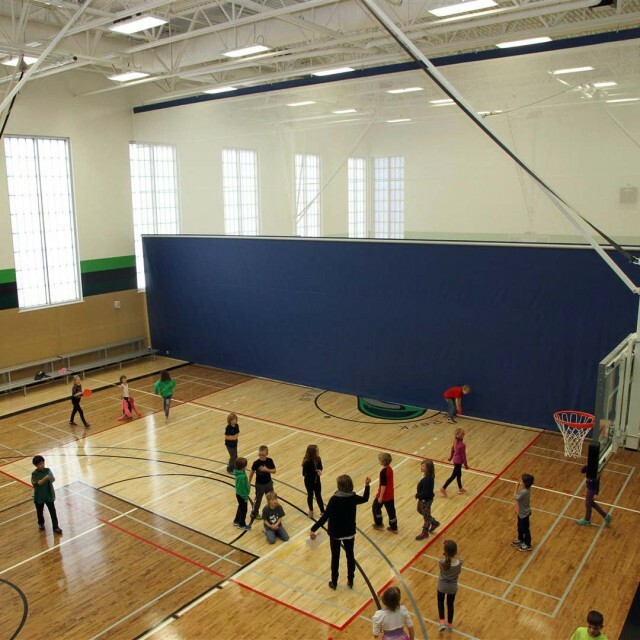 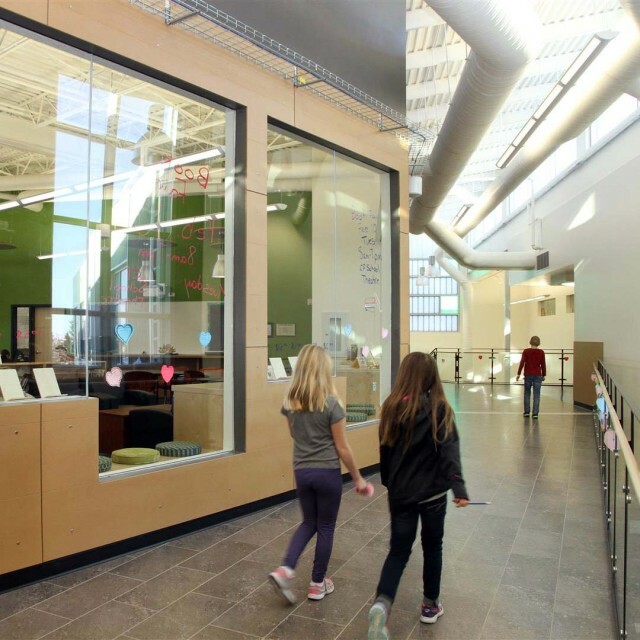 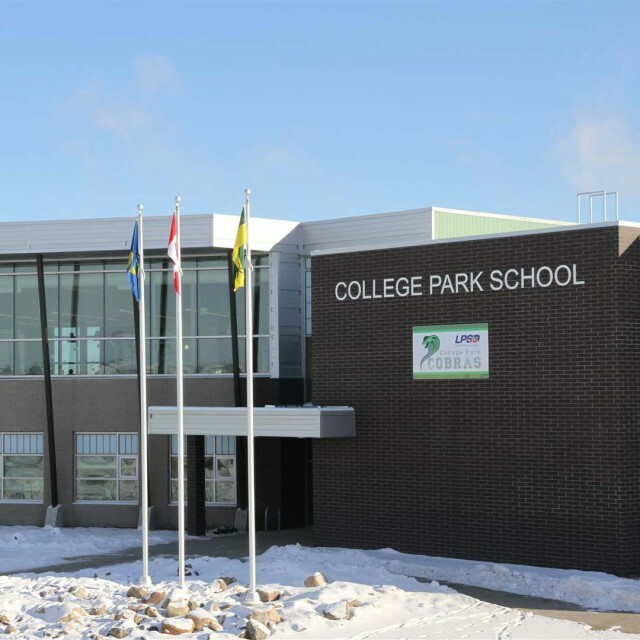 College Park School is located in one of Lloydminster’s newest developments and aims to respond to the city’s new growth. 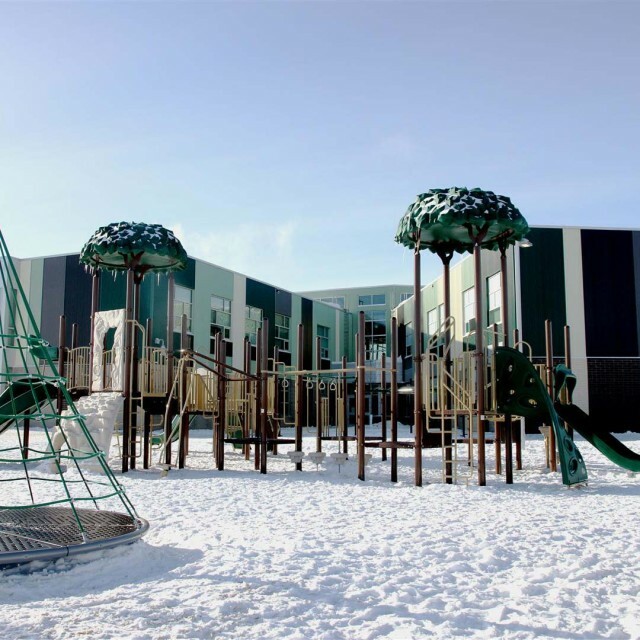 Designed as a “school in the park”, the school looks for attributes, from ample glazing accentuating the outdoor environment to the unique features of the site, to leverage many natural features in the education of students. 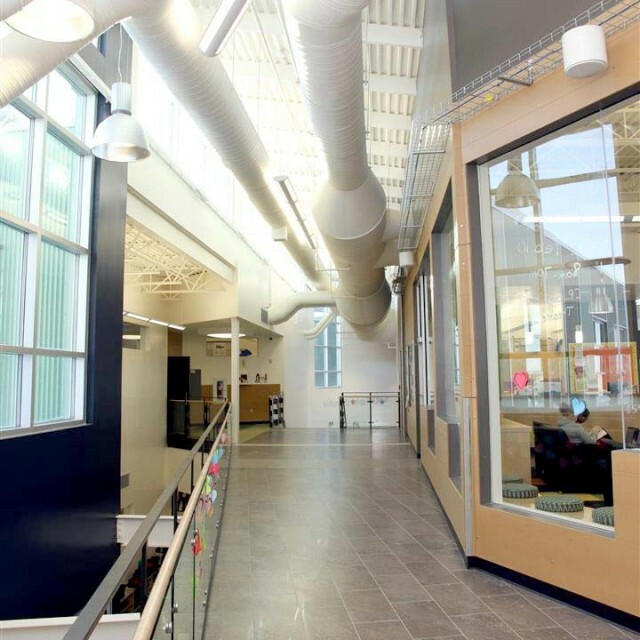 Architecturally, the building looks complex but is actually quite simple. 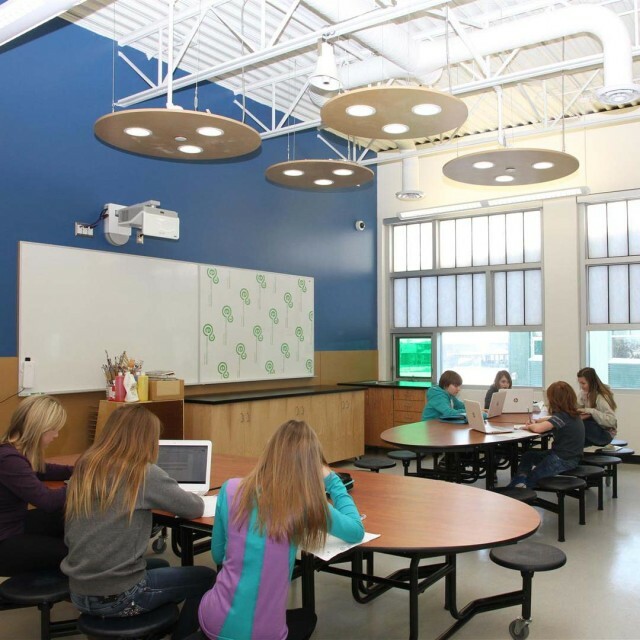 The pods or “schools within schools”, as a self-sufficient learning environment, are a series of simple shapes protruding from a central corridor. 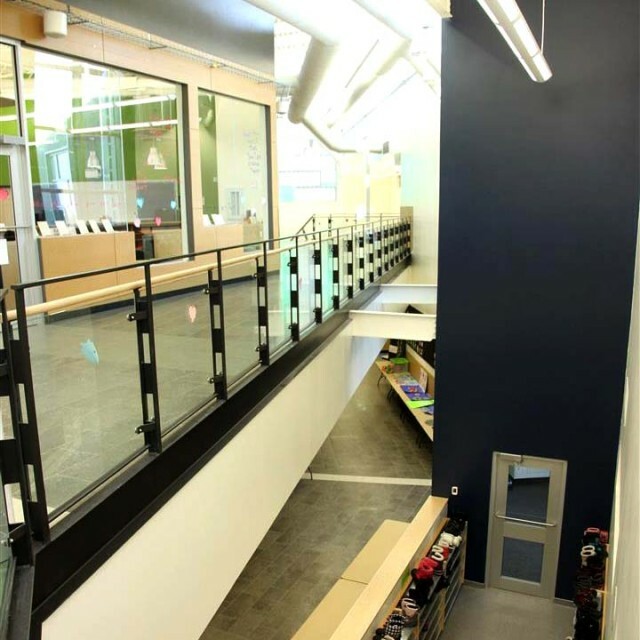 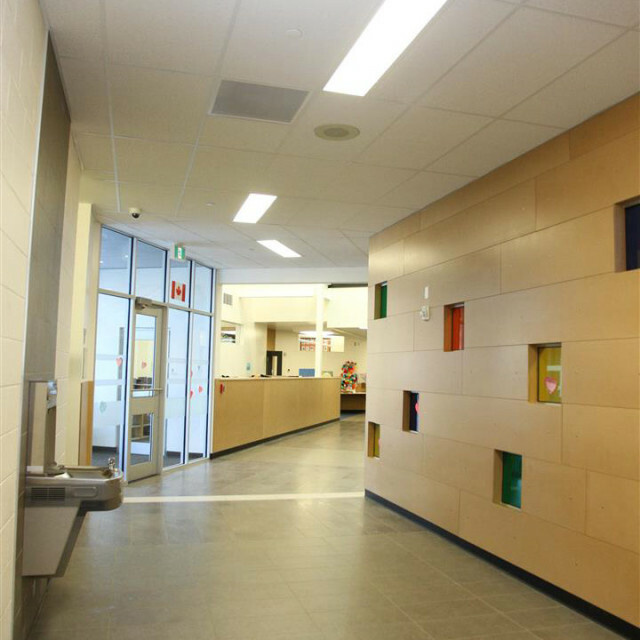 Students of various age groups have their distinct entrance, boot room, classrooms, learning resource space, and washrooms – all allocated in close proximity to where they spend their day. 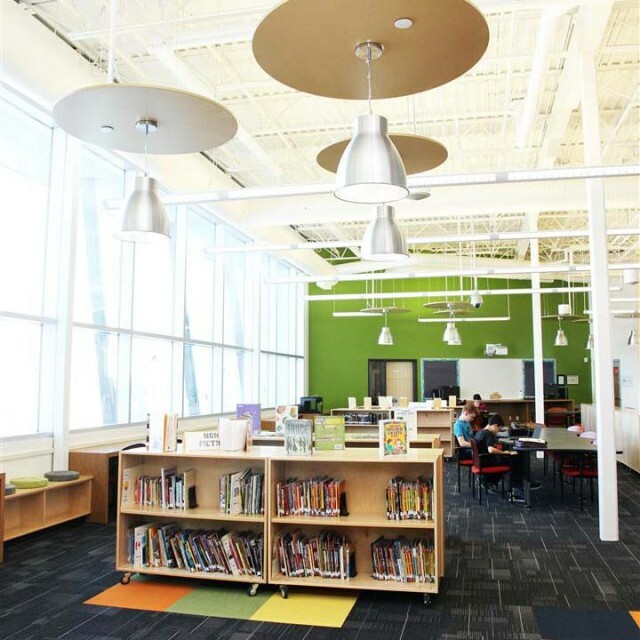 Outdoor spaces are also informally designated and designed for different age groups. 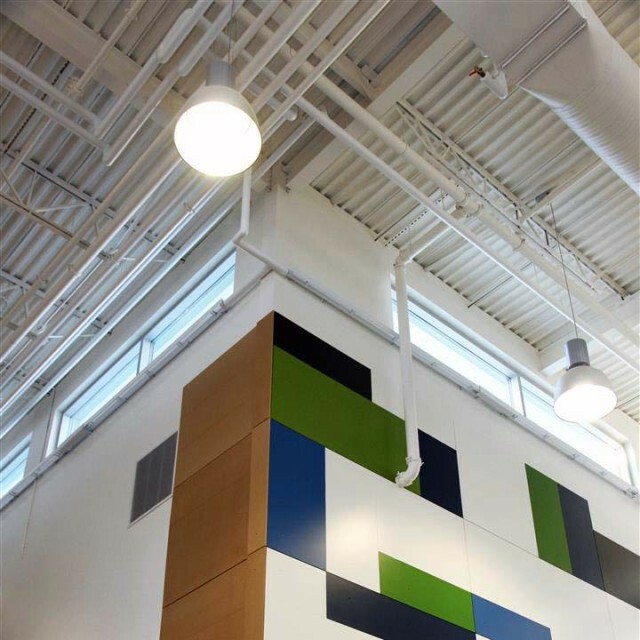 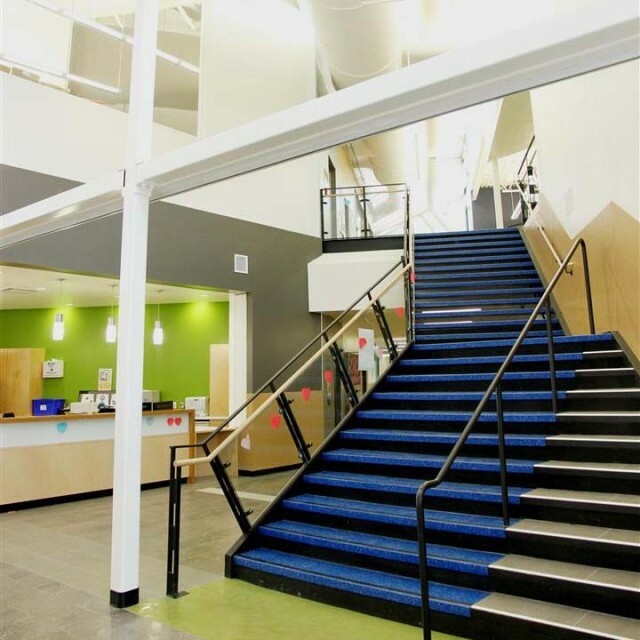 Beyond this environment, students can enjoy the benefits of a centralized learning resource centre, practical and applied arts spaces, and the gymnasium. 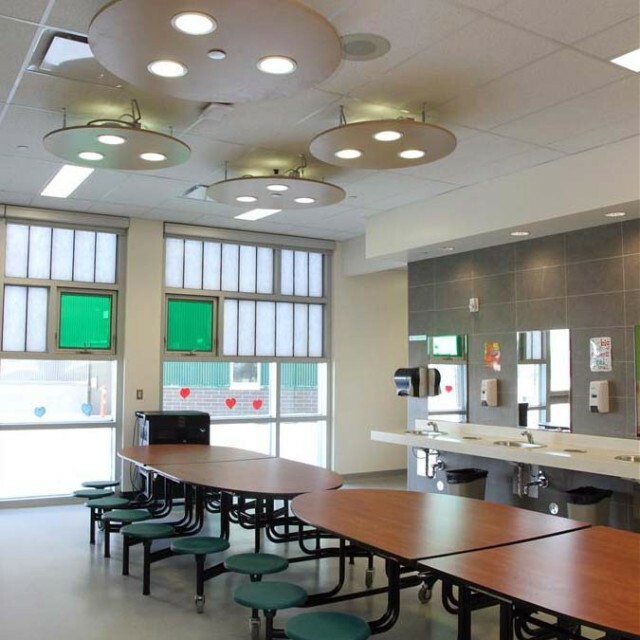 The facility is designed to achieve LEED Silver Certification.